Nana’s Sweet Cream Cake makes grown folks lose their minds. My mother-in-law, Nana, makes this incredible cake called Sweet Cream. It’s a simple looking cake with a translucent, golden honey icing. The cake isn’t gaudy; it’s quiet simplicity. There are four moist layers inside all buttery and delicate. The icing is the perfect balance of tangy and sweet sunken deep into decadent layers. To say grown people lose their minds over this cake doesn’t sound like a true statement, but when you taste it, you find it is pure heaven on a plate. Icy cold milk is the perfect companion for a slice of Nana’s Sweet Cream Cake. After indulging in a piece of paradise at Nana’s house a few years ago, I poured myself what I truly thought was a glass of milk. I opened Nana’s fridge and grabbed a jug of what looked like milk. The jug was sitting in the fridge right where milk is supposed to be bearing a label from a milk producing company. The white liquid inside the transparent jug resembled milk, too. I was convinced I was about to enjoy milk right up to the moment the cold liquid passed from the glass into my mouth. As the huge gulp descended, my taste buds reacted painfully. I raced to the sink and spit it out. I couldn’t get my brain to register the taste. I hollered and acted like a baby who’d been given her first taste of creamed spinach. I snatched the jug and took a closer look at the label. It wasn’t milk, it was buttermilk! What I thought was true was in fact false. Jesus refers to Himself as the vine several times in chapter 15, but only in verse 1 does He describe Himself as the true vine. 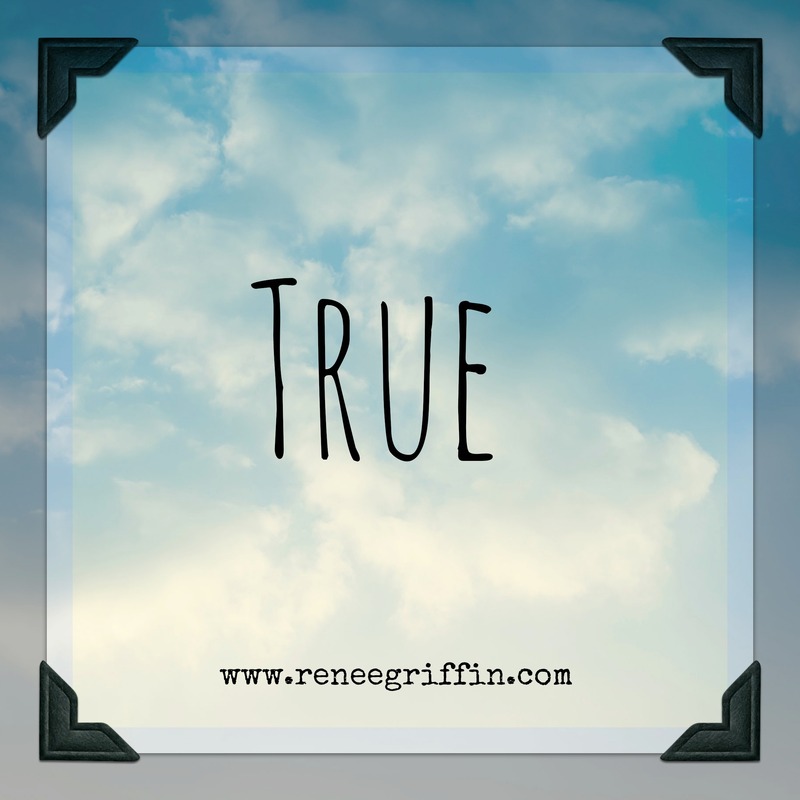 The word “true” in John 15:1 is a Greek word, alēthinos. Jesus is the only source that actually IS what He looks like and claims to be. 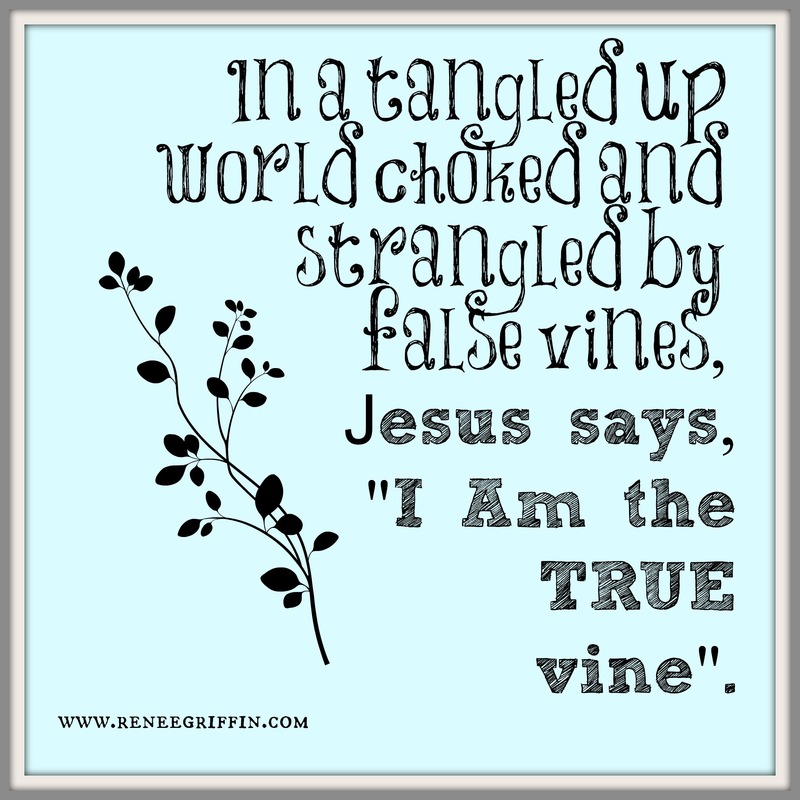 In a tangled up world choked and strangled by false vines, Jesus says, “I am the true vine”. I Am the only One that is Who I say I Am in Name, in label, and in nature. Through and through, Jesus is true. Any connection or source, other than Jesus will lead you astray. Without His discerning Presence in my life through prayer, Bible study, and meditating on His Word, I won’t be a good discerner of false vines. I will reach for things that look true and pour them into my life connecting to habits and relationships He never intended. And sometimes, I won’t realize the danger until I have swallowed it down whole. This world is offering unlimited false vines, and they look good on the surface. These connections label themselves as true, but their nature is not genuine. Others may appear true and give themselves an enticing label, and people may flock to them in droves, but there is only one true God, and His Name is Jesus Christ. The tricky thing with false vines is they don’t show their real identity right away. False vines take root, and aim to choke out truth in our lives. Spend time with the TRUE vine. Stay in His word and let His Words take root in you, and then you will be able to test the vines in your life. Oh yeah, here is one true piece of advice. Next time you pull a jug of milk from the fridge, take it from a friend and make sure you read the label closely. 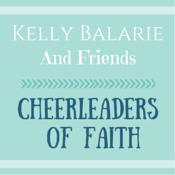 This post is part of Kelly Balarie’s #raralinkup happening every Tuesday at her place, Purposeful Faith AND Jennifer Dukes Lee’s #TellHisStory linkup on her blog. 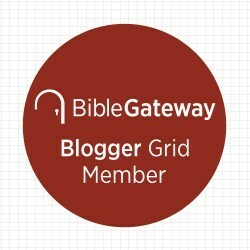 *”Greek Lexicon :: G228 (KJV).” Blue Letter Bible. Sowing Circle. Web. 3 Mar, 2015. I loved your analogy. But next time I see you, I want a piece of Nana’s cake! You got it! There are just no words to describe how ridiculously delicious it is. John 15 holds a special place in my heart. I love how I can read Scripture over and over and suddenly a Word jumps off the page and plants itself deeply into my soul. The Word truly is a living thing. Love you, friend. Thanks for sharing your revelation. I love you and cherish your words. The living nature of scripture continues to grow and produce fruit that only He could have designed. Thanks for always encouraging me. His Word gives such joy to us all and connects hearts in an exquisite way. So thankful to be in the Vine and connected to all my #branchsisters. Much love to you! Those false vines, man they are so tricky. I’m so glad God gave us His Word to daily keep our eyes open. I am definitely cheering for you, Kim! Keep it up. It makes a difference. Yum! I want a slice a cake! I love that passage in John! Thanks for the reminder! yum! I want a slice of cake! I love this passage in John! Thanks for the reminder! Hello, my friend! I so loved this post and your analogy! And yes, I need Nana’s recipe! And that’s the truth! See you in July! Yay! I’m so glad you liked it. And, yes I will send you the recipe! Renee, great story! I do want to be so connected to the true vine in all ways. You call me there. I think we all want to see the recipe posted too – ha! Sounds yummy. Cheering you, as I always love to do from the #RaRalinkup on Purposeful Faith. Go friend go. Thank you for generous words and unlimited love & encouragement. May God fill your life with His Light as you continue to shine brightly for Him. Much love my #RaRaSister.